Low cost air travel may be a longstanding and well-known phenomenon but up until now the same could not be said about rail travel, the topic of this article. This is changing, however, at least in France where low cost rail travel has started to spread in recent years. 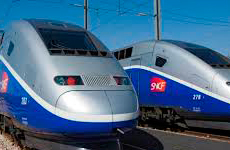 The present paper outlines different reasons why France’s SNCF National Railways has embarked on a low cost trajectory over the past 15 years while discussing how this approach has affected work and employment at the company. The low cost paradigm has centred on a reduction in production costs, a restructuring of the commercial offer and a diminution in rail workers’ social protections. The idea put forward here is that the SNCF’s new commercial conditions hide a plan to undermine France’s public service railway.